Learn how using an ERP system purpose-built for project-based businesses can help you! Leading companies in today’s business environment recognize the need for an Enterprise Resource Planning (ERP) system. But ERPs are not “one size fits all” and many companies have systems that are not right for their type of business. If projects are in your company’s DNA, you can benefit from this book. It doesn’t matter what your company services or manufactures — if your revenues and profits are derived from projects, this book explains the benefits of using a purpose–built ERP system to run your business. 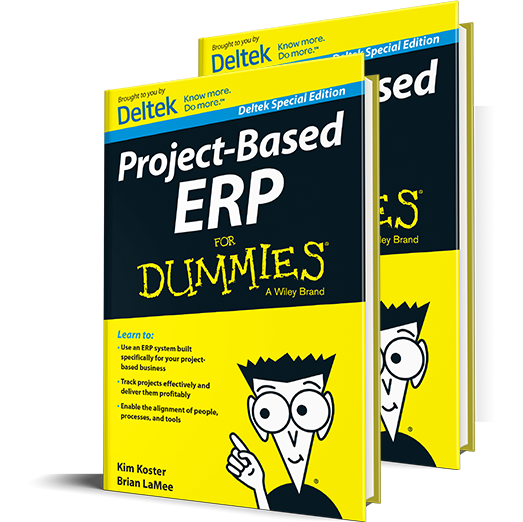 Download Project–Based ERP for Dummies today and see how a purpose–built ERP solution can keep your projects on track and improve your bottom line.